Effects on the Mind - Bergamot is a light and fruity citrus oil, which is uplifting, relaxing, refreshing, and known for building confidence. Bergamot has the ability to uplift the spirit and emotions with its fresh and invigorating citrus fragrance. Effects on the Body - It is useful for caring for oily and blemished skin and can be used in a vaporizer to eliminate unpleasant odors. 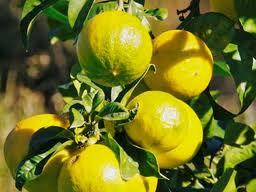 Bergamot functions as an antiseptic, deodorant, perfume, soothing agent, and skin conditioner. Blends well with Chamomile, Coriander, Cypress, Geranium, Juniper, Lavender, Lemon, Neroli, and Ylang Ylang. Cautions - Do not apply this oil directly to the skin without being diluted in a carrier oil first. Do not apply prior to sunbathing as it increases the photosensitivity of the skin due to its bergapten which accelerates sun tanning. I LOVE using this oil on my face, and include it in my DIY personal care products. The smell is similar to lime which surprised me since my only previous experience was with Earl Grey tea which commonly has bergamot oil added. Here is some information I found on-line: Bergamot oil is antibacterial, anti-infectious, anti-inflammatory and antispasmodic. It’s uplifting, improves your digestion and keeps your system working properly. Known to build confidence and enhance your mood, bergamot oil is also used to kill bacteria, heal scars and minimize marks on the skin. Bergamot oil is also used to reduce pain from headaches and muscle tension as well as stimulate hormonal and digestive juices.